Wed., Aug. 8, 2018, 6:12 p.m.
NEW YORK – New York City moved Wednesday to regulate the explosive growth of Uber and other app-based ride services with a temporary cap on new licenses for ride-hailing services. “More than 65,000 working families will be getting a desperately needed raise because of today’s vote,” said Jim Conigliaro Jr., the founder of the Independent Drivers Guild, which represents drivers for Uber and other services. She said Uber will do whatever it takes to keep up with growing demand for its service and will work with city and state officials to pass “real solutions” like congestion pricing for cars in Manhattan. 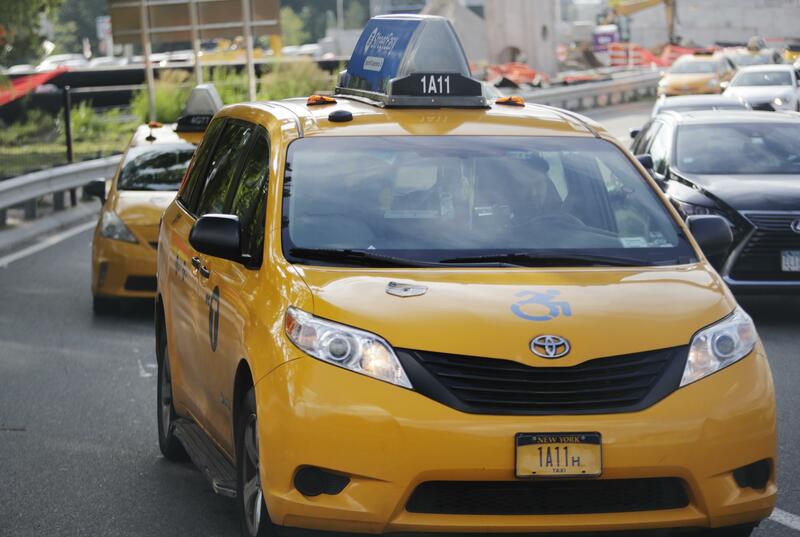 Opponents of the legislation said Uber and Lyft provide much-needed service to areas outside of Manhattan that aren’t served by traditional taxis. They also said black and Hispanic New Yorkers need ride-hailing apps because yellow cab drivers often won’t stop for them. “They’re talking about putting a cap on Uber, do you know how difficult it is for black people to get a yellow cab in New York City?” The Rev. Al Sharpton wrote on Twitter. Published: Aug. 8, 2018, 6:12 p.m.